Solar to Gas Thermostat Valve. Solar to gas thermostatic selector. 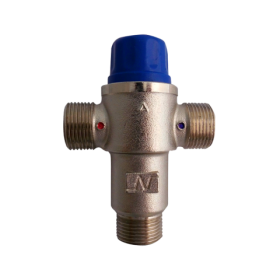 This valve is used to divert water from your solar geyser to your gas geyser when the set water temperature required is not reached.